Riders will leave @ 30 second intervals and will start in last name alphabetical order by category as outlined above. The 12th Annual Race the Ridge cycling stage race and second round of the prestigious new BC Premier Road Series promises to test the province’s top riders as they do battle over three challenging stages on the scenic cycling roads of Maple Ridge and Pitt Meadows this weekend, April 26-27. April 16, 2014 (Maple Ridge, B.C.) 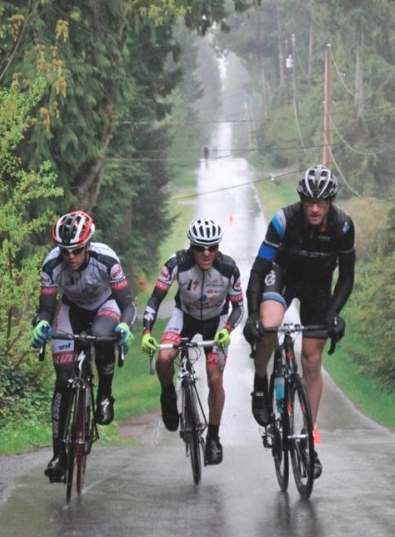 - Race the Ridge presented by Local Ride is pleased to announce the opening of a separate Cat 4 Men’s field for the popular Maple Ridge cycling stage race, scheduled for April 26-27, due to high registration numbers. The Cat 4 Men's category was originally combined with the Cat 3 Men's field. “There is a strong growth of new riders entering our sport here in B.C., and giving these racers their own category will only help to support this growth," said event organizer Barry Lyster. Race The Ridge is entering its 12th year in Maple Ridge and it is B.C.’s only timed stage race. The event is also part of Cycling BC’s new BC Premier Road Series. Registration closes at 11:45 p.m. on April 23. The BC Premier Series is a new high-level competitive road cycling circuit in the province that aims to raise the quality of racing in the province and establish a prestigious provincial tour that BC’s talented riders will aspire to win. 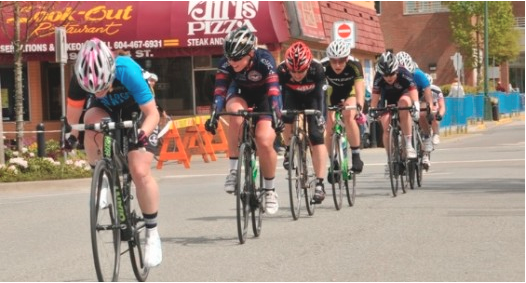 The 2014 BC Premier Road Series consists of five popular events: the DEVO Spring Series Classic Stage Race, March 29-30, Race the Ridge, April 26-27, Robert Cameron Law Cycling Series, May 30-June 1, UBC Grand Prix on July 8, and the Tour de White Rock Criterium on July 12. All Juniors registered for the Race the Ridge Stage Race will receive a $20 discount off the price of the race. You can pick-up your $20 at the Criterium on April 27. Local Ride’s spring road cycling races drew nearly 200 competitors, including some of Canada’s top cyclists, to Pitt Meadows this past sunny weekend to contest the popular Barry’s Roubaix and Airport TT. Winners (1st place from each category) will be given awards after Barry's Roubiax. DAY OF REGISTRATION for AIRPORT TT $30 CASH ONLY MUST BE AT EVENT AN HOUR BEFORE THE START OF YOUR RACE. DAY OF REGISTRATION for BARRY'S ROUBAIX $60 CASH ONLY MUST BE AT EVENT AN HOUR BEFORE THE START OF YOUR RACE. Sign in starts at 14:00 for the airport TT. It’s that time of year again. The Barry’s Roubaix road cycling race presented by Local Ride Racing is hitting the scenic rural roads and dyke network of Pitt Meadows this Sunday, April 13, and the Airport Time Trial takes place on Saturday, April 12. Jackson's Race updates for the past month of spring racing. River Road March 7th- This was my first road race of the year, and my first in the A category as well. I was excited to get the season started, and the weather was typical of spring series- Cold and raining! Only the week before the roads were covered with snow which cancelled the race, but this week I had to get on the heat rub and race my bike! As soon as the race was started, the attacking began. 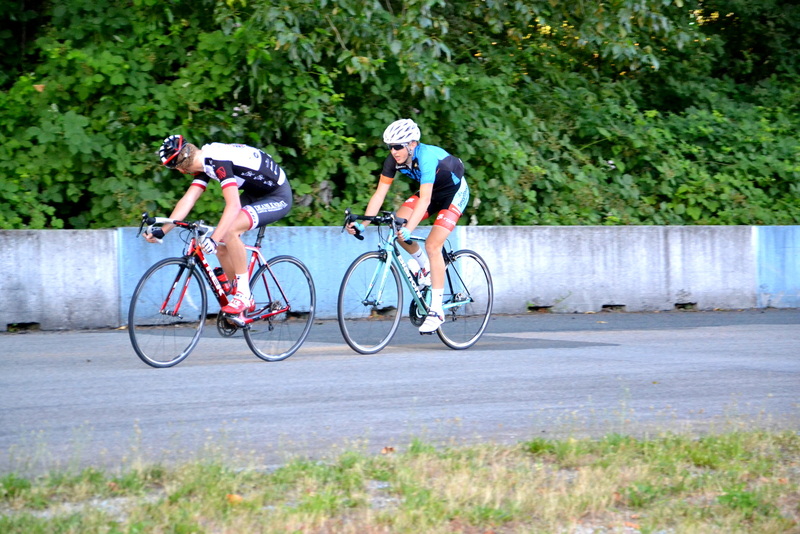 I raced aggressive and tried to get in moves that looked good, but for a few laps nothing got away. A small group of three got a small gap on the back stretch, and then a few more bridged. It then looked dangerous, and I made a few tries to get across. We chased for a while, and I launched a few more attacks but they were gone. Our group rolled into the finish a few minutes later, and I was second in the bunch sprint placing me 7th. I decided that the next day I will race A’s again, hopefully not missing the break this time. I added a photo from right before the race, getting heat rub put on! Wix Brown March 8th- The weather turned good for the rolling course, and that brought a bigger field. I was excited to race, and really wanted to be in the break. We had four fast laps of constant attacking, before four got a bit of a gap and the rest slowed up. I launched an attack, and chased hard to get up but no luck. I was then reeled back into the pack, were I recovered for a lap before trying again. This time three of us got away, and rode off from the group. With two laps to go, the leaders were around 30 seconds ahead. On this lap we caught two riders who had fallen off from the leaders, and a lone rider bridged from the pack to our group. With one to go there was two riders up the road, three of us in a break and the pack chasing hard. From very early on the break away riders started to conserve there legs, letting the pack come dangerously close. We turned the final corner, the 2nd place rider was no more than 20 seconds ahead, and the pack not even 20 seconds behind. Jeff Werner initiated the sprint, with a Musette rider right on his wheel. I jumped on but could not come around, holding on for 5th place. Feature Friday Night Racing # 4 March 21st- This week I had a Cycling Canada camp at the velodrome, 5 days of training then staying for racing on Friday. By the time I got to the track, I was pretty tired from the week! This was the final Feature Friday Night Race, with double points on the line. I raced hard finishing 3rd in the Scratch race, 4th in the elimination and 5th in the points race. This put me 5th overall in the A Feature Friday Night Racing Series. Spring Series Atomic March 23rd- After resting Saturday from a week of racing, I went to my 3rd road race of the year. The weather had turned out good, and a large A field had showed up. Among the field was National road race Champion Zach Bell, who I tried to stay on his wheel the whole race. The whole group managed to keep with him on some small attacks, but when he put in a big attack on one of the hills, I couldn't follow him all the way up. The group then split up, and I was feeling pretty gassed from following Zach's wheel. I rolled through the finish with the pack for 9th place. Spring Series Snake Hill March 30th- Today was the first road race of the BC Premier Racing Series, which I registered for in Cat. 1/2. When I got to the circuit, the Cat 3 and 4 fields were racing in the pouring rain, a few riders each lap pulling out of the race because of the weather. I got fully prepared to spend 3 hours in the cold, but luckily not too far into our race the rain stopped, and eventually the sun emerged. Russ Hay’s had a full squad out for this race, which was challenging to match in the race. I went with a few early moves, but hey didn’t end up getting far. On the 4th lap up Snake Hill the pack split up, I ended up in the second group on the road, which I stayed in until the finish. I sprinted to the finish for 7th place, First of our group. Local Ride Racing would like to remind cyclists who are keen to participate in this year’s editions of the popular Lower Mainland spring classics, Barry’s Roubaix, the Pitt Polder Time Trial, and Race the Ridge Stage Race, that early-bird registration discounts are only available until February 28, and popular categories, such as Cat 3/4 Men, are expected to sell out. Registration for the three popular Maple Ridge and Pitt Meadows events, set to take place this April, is available online at Karelo.com. 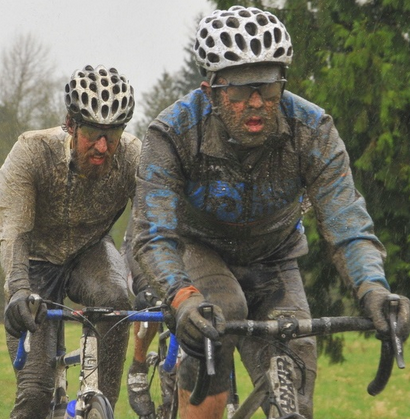 “Local Ride Racing’s spring events are some of the biggest early-season races in BC. They’re a great way for riders across the province to test their form as they prepare for goal events later in the season, like the National Championships,” said Maple Ridge event organizer Barry Lyster. 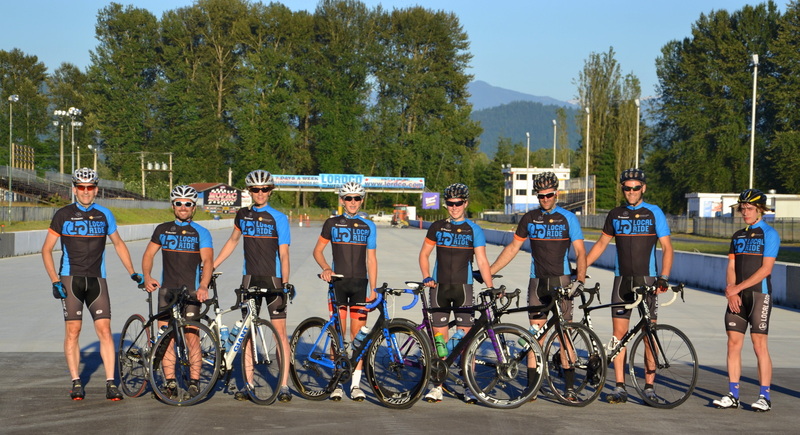 The 2014 Pitt Polder Time Trial in Pitt Meadows on Saturday, April 12 will feature a new course that will start at the same place as Barry’s Roubaix the following day, near the Ridge Meadows BMX Track. This 12.5-kilometre out-and-back course will head south on Kennedy Road toward the Pitt Meadows Airport and promises to be a fast, flat rip along the area’s scenic agricultural roads. Winds will likely affect the race as riders battle against the clock. The rural roads and picturesque Pitt Meadows dyke network will become a battleground on Sunday, April 13, as Barry’s Roubaix road race hosts the province’s top cyclists. The event pays homage to the historic European Spring Classic, Paris-Roubaix. Barry’s Roubaix, which is held on the same day as the famed French race, simulates the legendary bone-rattling cobblestone sectors with the inclusion of a large section of gravel dyke in the 10-kilometre course. 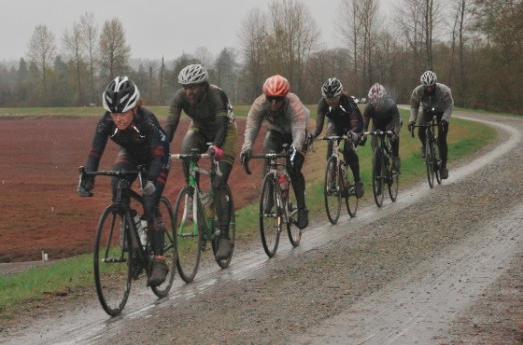 Cyclists will flock to Maple Ridge and Pitt Meadows for Local Ride Racing’s marquis road cycling event, Race the Ridge, on the weekend of April 26-27, for what is one of the longest-running cycling stage races in BC. The rider with the lowest cumulative time after the final of three races will be crowned champion. Race the Ridge is part of Cycling BC’s prestigious new BC Premier Road Series. Race the Ridge recently tied for second place in the Best Canadian Race Events category in Pedal Magazine’s 2013 Awards, as voted by readers from across the country. “With the introduction of the new BC Premier Series, the positive changes that are continuing to happen within Cycling BC, and our passionate community of organizers, racers, and volunteers, I’m confident that 2014 is going to be hallmark year for racing in our province,” said Lyster. “I encourage races to take advantage of these valuable registration discounts and help make the lives of organizers easier by registering early,” added Lyster. Registration for the Pitt Polder Time Trial can be found here. Registration for Barry’s Roubaix can be found here. Maple Ridge, BC bike shop owner Barry Lyster is pleased to announce that he will be shifting his focus to event organizing and discontinuing his retail venture, Local Ride Bike Shop, that has been a fixture in Downtown Maple Ridge since 2004. Lyster has organized popular and high quality cycling events for 16 years, including the BC Summer Games and Pumpkin Cross, which recently won the Pedal Magazine Award for Best Canadian Cycling Event of 2013. Lyster’s 12th annual Race the Ridge tied for second place in the Canada-wide reader’s choice contest. Lyster has sold his retail venture, which will move to Pitt Meadows, BC and continue to provide Maple Ridge and Pitt Meadows with the same great service and high quality products that made the Local Ride name recognized across the country, under its new name, Pitt Meadows Cycle. 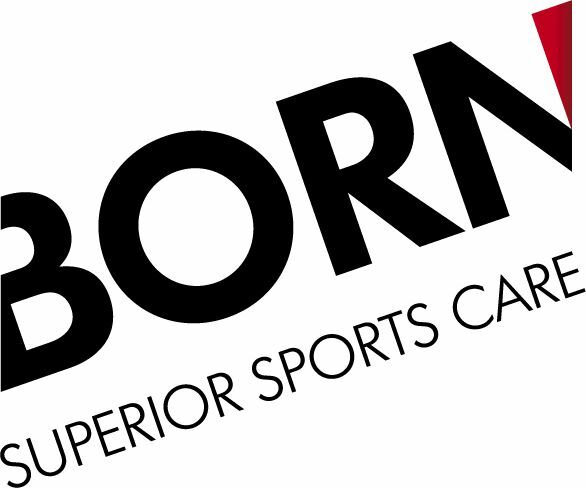 “We are confident new store owner Rob Laluk will carry on the tradition of excellence and passion for cycling that our loyal customers have enjoyed with us,” said Lyster. The move will allow Lyster to increase his focus on fostering the sport in his hometown and the rest of the province, through coaching, a new role with sport governing body Cycling BC, and continued involvement in the Local Ride Racing team, along with event organizing. “That’s where my passion lies. That is what I really want to do,” said Lyster. “I am also open and excited to explore new opportunities in the cycling industry,” he added. Pitt Meadows Cycle will open for business starting on February 1 at 105-19141 Ford Road. Local Ride Bike Shop on Dewdney Trunk Road in Maple Ridge closed as of January 12. “Thank you for supporting local business in our community and giving us nine fantastic years. I look forward to seeing everyone riding on our amazing roads and trails in future,” said Lyster. To stay up-to-date on Local Ride’s happenings, please continue to check in at the website:www.localride.ca. 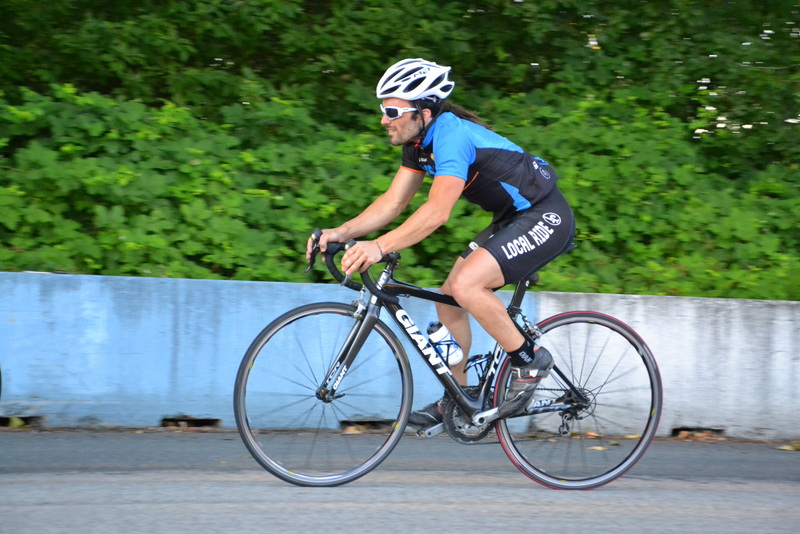 Registration Open for 2014 Barry’s Roubaix, Pitt Polder TT, and Race the Ridge – Early-bird Discounts! 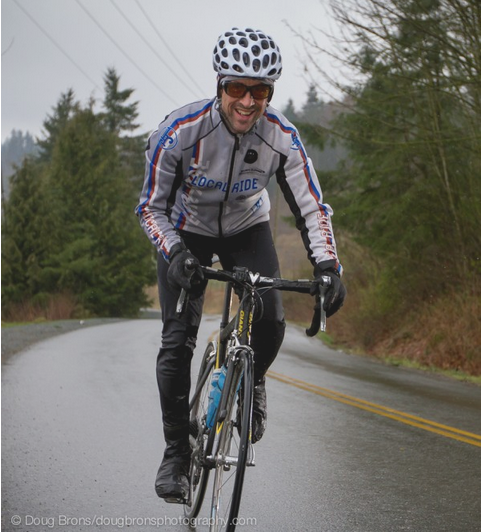 Registration for Local Ride’s popular Race the Ridge, Barry’s Roubaix, and Pitt Polder Time Trial cycling events, set to take place in Maple Ridge and Pitt Meadows in April, is now open online at Karelo.com with discounted early bird rates available until February 28, 2014. 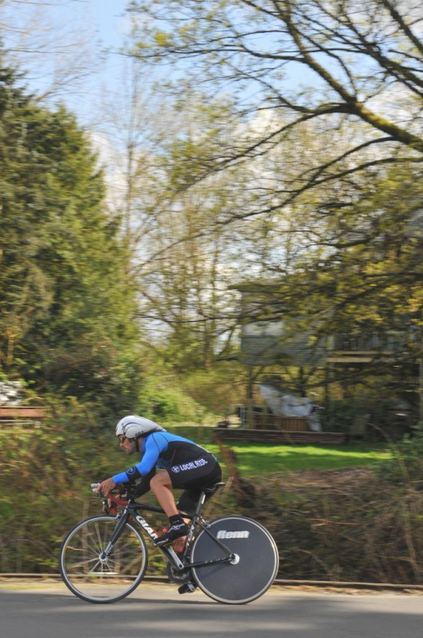 The first race out of the blocks will be the Pitt Polder Time Trial in Pitt Meadows on Saturday, April 12. The generally fast and flat route showcases the area’s scenic agricultural lands. Frequent winds may affect the race as riders battle against the clock. Barry’s Roubaix will see some of the province’s top cyclists hit the rural roads and picturesque Pitt Meadows dyke network the following day, Sunday, April 13, for a road race that pays homage to the historic European Spring Classic, Paris-Roubaix. Barry’s Roubaix, which is held on the same day as the famed French race, simulates the iconic event’s bone-rattling sectors of cobblestones by including a large section of gravel dyke in the course. Finally, the weekend of April 26-27 will host one of the longest-running cycling stage races in BC, Race the Ridge. The event consists of three challenging stages that sees the rider with the lowest cumulative time after the final race crowned champion. Race the Ridge is also proud to be part of Cycling BC’s new BC Premier Road Series. Race the Ridge recently tied for second place in the Best Canadian Race Events category in Pedal Magazine’s 2013 Awards, as voted by readers from across the country. Lyster’s Pumpkin Cross cyclo-cross race placed first in the awards. Riders are encouraged to register early for the top cycling events in Maple Ridge and Pitt Meadows to receive early bird discounts at www.karelo.com . For more information about Local Ride’s events, navigate to Our Races. 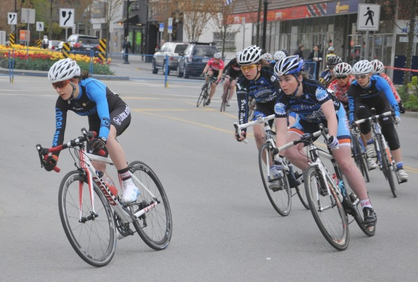 Based out of Local Ride Bike shop in Maple BC, Local Ride Racing (LRR) is one of BC’s best represented cycling team. With racers of all ages and disciplines, if you’ve been to a local race in BC, or national level race in Canada, chances are you’ve seen us.